WASHINGTON (CNS) — From the head of the U.S. agency in charge of the welfare of more than 50,000 Central American children who have been apprehended at the Mexican border, to the Honduran cardinal who heads the international Catholic relief agency, Caritas, the message was clear, those minors are as much refugees as the people fleeing upheaval in Syria or South Sudan. “How are these children different from refugees from Sudan” or other war-torn countries, asked Eskinder Negash, director of the Office of Refugee Resettlement, known as ORR, in the Department of Health and Human Services. “Regardless of whether they have family here, they are refugees,” he said July 8. By virtue of his position, Negash personally is legally responsible for the welfare of approximately 50,000 minors in ORR custody as arrangements are sought for them to be placed with relatives or in foster care while deportation is pursued. Speakers at the 2014 National Migration Conference and in interviews with Catholic News Service said broad discussions about migration issues worldwide inevitably led to the recent surge of children from Guatemala, Honduras and El Salvador across the U.S. border. 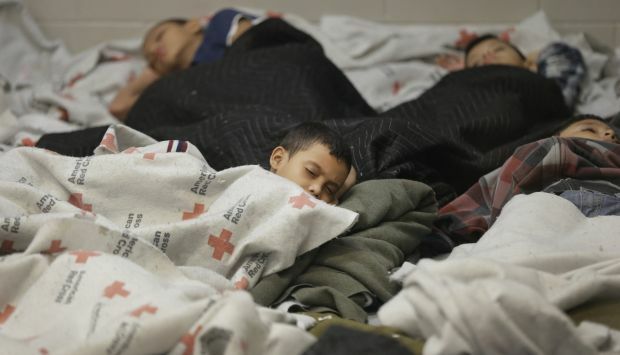 From an average of 6,000 or 7,000 such minors a year as recently as a few years ago, by mid-June, Homeland Security had apprehended more than 52,000 such children in this fiscal year. That has created a crisis for the Border Patrol, which first encounters them, and for ORR, which must find places to safely care for them. Negash drew gasps from the audience when he explained that his responsibility for ORR’s charges includes personally approving health care decisions, such as how to treat an 11-year-old girl who’s pregnant, or another pregnant teen, who was recently diagnosed with terminal cancer. The unaccompanied minors and other refugees for whom his office is responsible come with myriad horrible stories, he said. “I’m not telling you this to depress you more, but so you’ll talk about it more,” Negash said. During the plenary a short time earlier, Negash had pleaded with the 800 or so participants of the conference to “please use the same language you do when you are talking about other crises,” in referring to the children being apprehended at the border. Organized gangs and drug cartels that kill with impunity are just as much a threat to a country’s stability as the terrorist networks operating elsewhere, he said. “You don’t have to call them Al-Shabaab,” he said, referring to the East African terrorist network based in Somalia. He said some recent steps taken by the Honduran government give him some hope that law enforcement and military leaders are coming to terms with what it will take to regain control of their country. Among them are a recent declaration that any airplanes suspected of carrying drugs through Honduran air space will be shot down and the recent extradition to the United States of two Honduran drug cartel leaders. Both seem to have had some effect on the drug cartels, he said. Other speakers at the July 8 plenary described a world awash with refugees and increasingly stretched resources to assist them. Shelly Pitterman, regional representative of the U.N. High Commissioner for Refugees, ticked off statistics: 51 million people worldwide last year in refugee situations, yet a 25-year low number of displaced people were able to repatriate to their home countries. The refugee resettlement program in the United States “is the engine of the global program,” he said, noting that the majority of refugees are resettled through networks run by the Catholic Church. But worldwide, resources are stretched too thinly. He also said that although most of the children being sent away from their home countries on their own are coming to the United States, it’s not the only place they go. The number going to other Central American countries has risen seven-fold, he said. Anne Richard, assistant secretary of the Bureau of Population, Refugees and Migration in the State Department, said the way to combat the need for people to flee their countries is to push for peace. “The only real solution to this massive, malignant crisisis for the fighting to stop,” she said. Along with panel discussions and workshops, the conference also included a live video feed from the Kakuma refugee camp in Kenya. Located in the Turkana District of northwestern Kenya, the camp has housing, counseling and education programs for more than 160,000 refugees, provided through humanitarian organizations including Jesuit Refugee Service. During the feed, Red, a refugee who has lived in the camp for more than 22 years, explained how he became inspired to “give what he has been given” by becoming a teacher and working with the young children in the camp. Julia Willis contributed to this story.